Integrated in a Historic-Artistic Heritage Complex, the Molinos del Río Segura (Segura River Watermills) were rehabilitated by an agreement signed in December 1985 by the Murcia City Council, the Architecture and Housing Department of the Spanish Ministry of Public Works and Urbanism and the Autonomous Commnity of the Region of Murcia. The main objective was to transform the old watermills into a Cultural Centre and Hydraulic Museum . 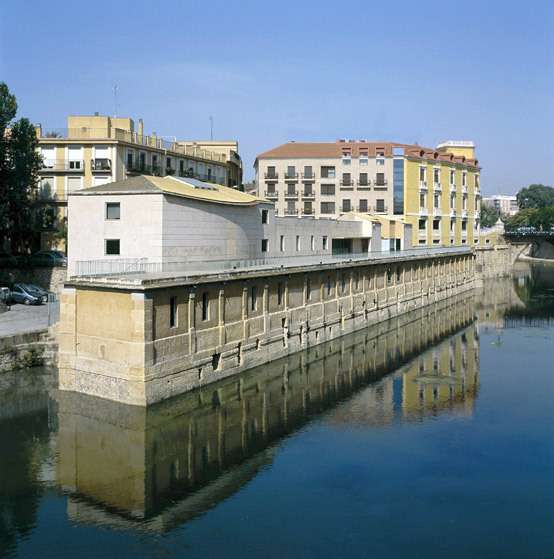 The project was entrusted to the architect Juan Navarro Baldeweg, whose proposal was based on the recovering of the most genuine and ancient aspect of the mills, warranting the preservation of this monument and its very unique pieces of our industrial and archaeological heritage. 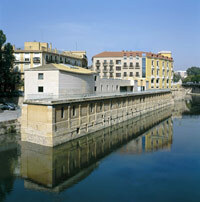 The building, inaugurated in 1989, has been included among the top ten best buildings of the 80's in Spain. 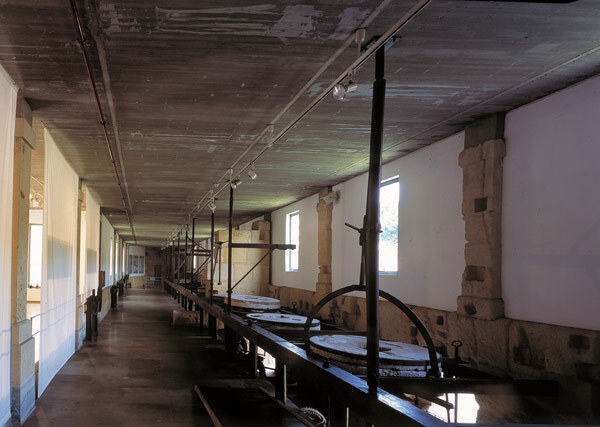 The current uses of the Molinos del Río are the permanent exhibition of the mills facilities and the continuous programme of temporal exhibitions, many of them self produced, all of them sharing the aim to study and divulge historical, ethnographic and archaeological aspects of our culture. The museographic resources used involve both traditional didactics -brochures, teacher and student guides- as well as more modern ones -video, interactive multimedia module and Internet- which allow improving a task addressed to all publics. Several municipal services are hosted in the upstairs facilities, where there is also a library. Activities like lectures, courses and presentations are held in the Molinos del Río Auditorium. A semidetached building, the Caballerizas (the 'Stables'), is another space for exhibitions, also under municipal management . Monday to Saturday, from 10:00 to 14:00 h. and from 17:00 to 20:00 h.
Monday to Friday, from 10:00 to 14:00 h. and from 18:00 to 20:00 h.
Saturdays, Sundays and holidays, Closed. Los Molinos del Río Segura.